Hi there, my name is Missy and if you are interested in adopting me, please fill out an expression of interest form and an RSPCA staff member will contact you as soon as possible. I am a big, sweet girl looking for a forever home where I can just be loved and cuddled every day! I am very affectionate and I love human contact. I am super easy to handle in every way. Great to catch, rug, worm, vaccinate and I stand quietly for the farrier. 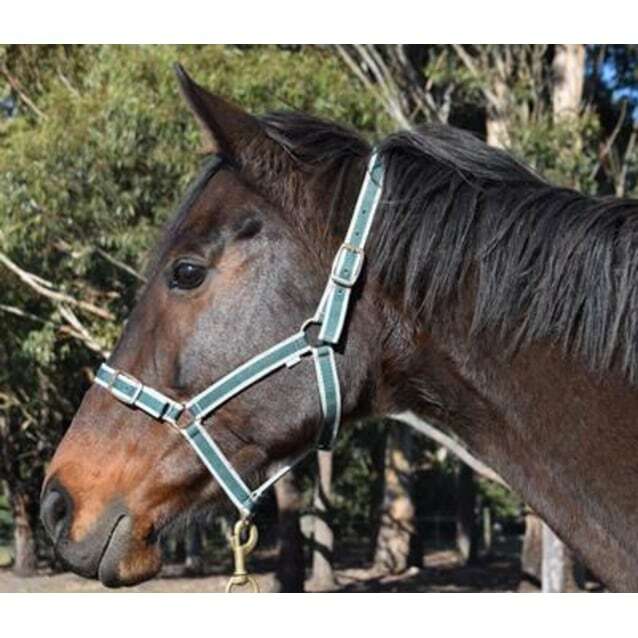 I am looking for a home as a companion only as I am not able to be ridden. Last year I had a disagreement with a fence which resulted in a pretty nasty injury to my right hind leg. I had to have surgery and I was in hospital in a cast for 10 weeks before having the cast removed and doing rehab. I am now completely paddock sound and get around just fine, however I won't be able to be ridden and will have a permanently scarred leg. I am such an easy horse to have around, I'm definitely a big favourite of the staff here at the shelter with my big huggable neck and cuddly nature. If you are looking for a sweet, gentle mare as a companion for your current horse who please submit an expression of interest and come and meet me, I promise I'm worth it!